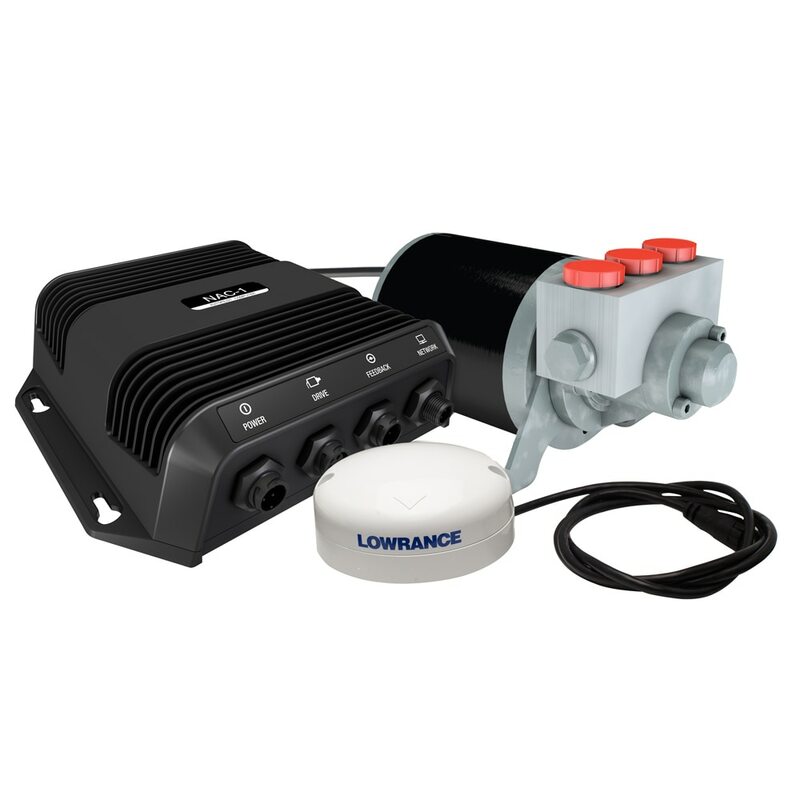 Marine autopilots make steering your boat that much easier. You can set a course and go. 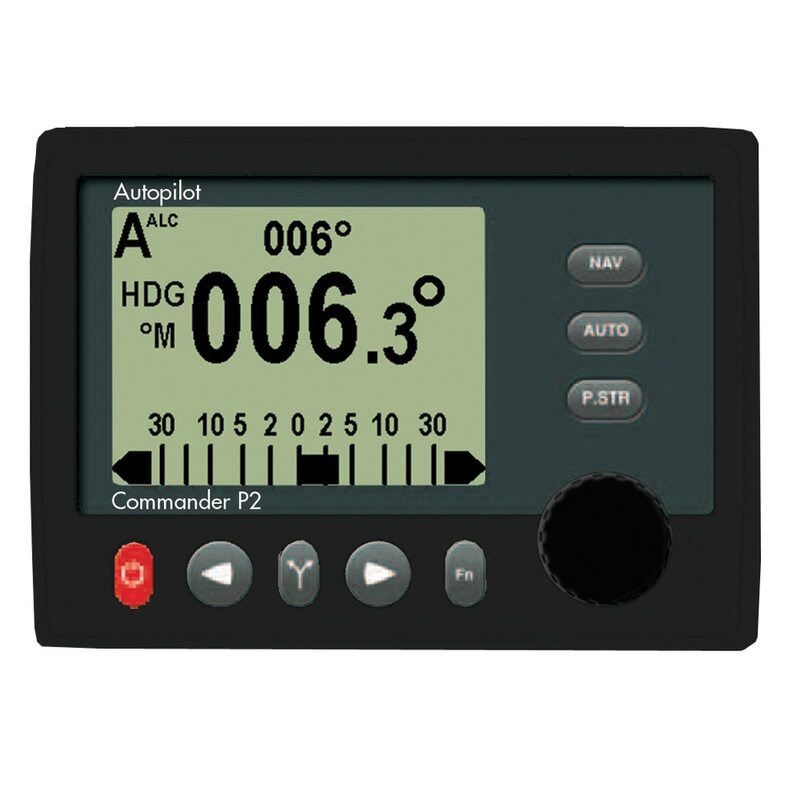 Many marine autopilot systems can be connected to your GPS chartplotter and set advanced routing. 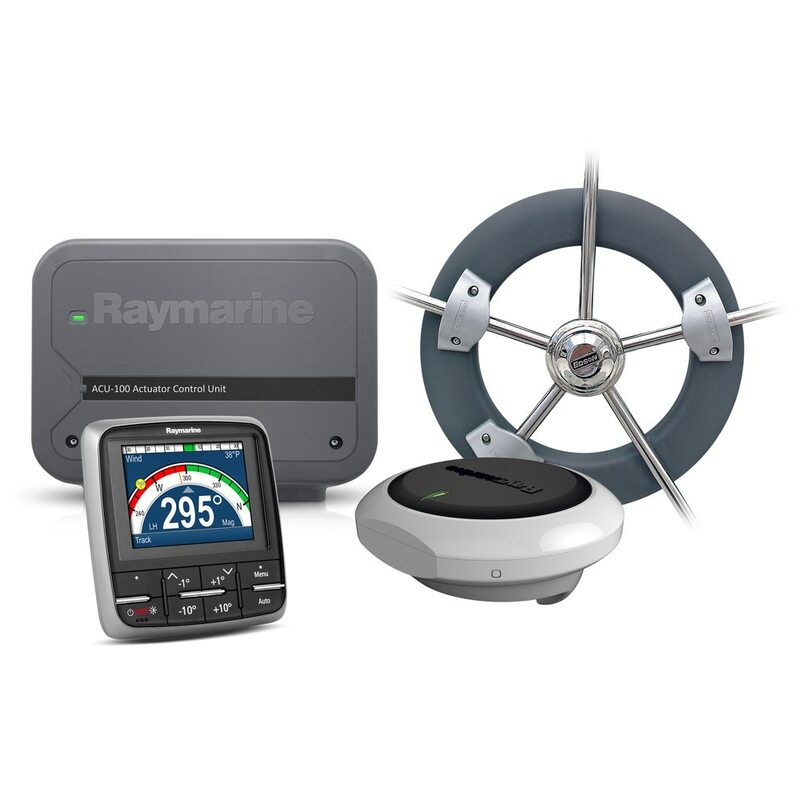 Anchor Express offer a wide variety of marine autopilot products from leading manufacturers such as Raymarine, Simrad, Furuno, SI-TEX, and many others. 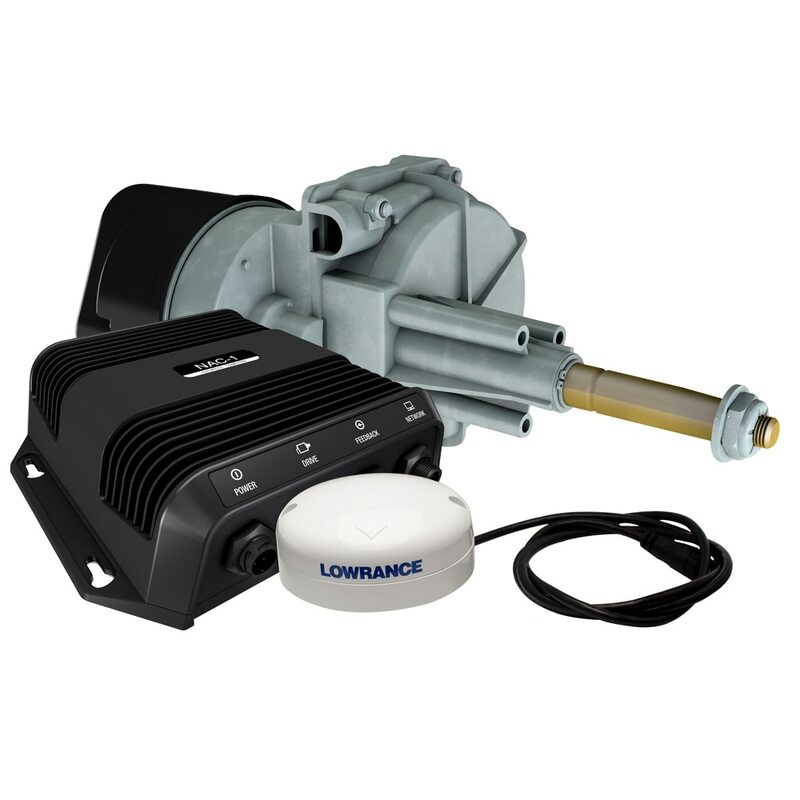 Whether you have a power or sail boat or need a hydraulic, mechanical, tiller, or wheel pilot; we have the autopilot for you. 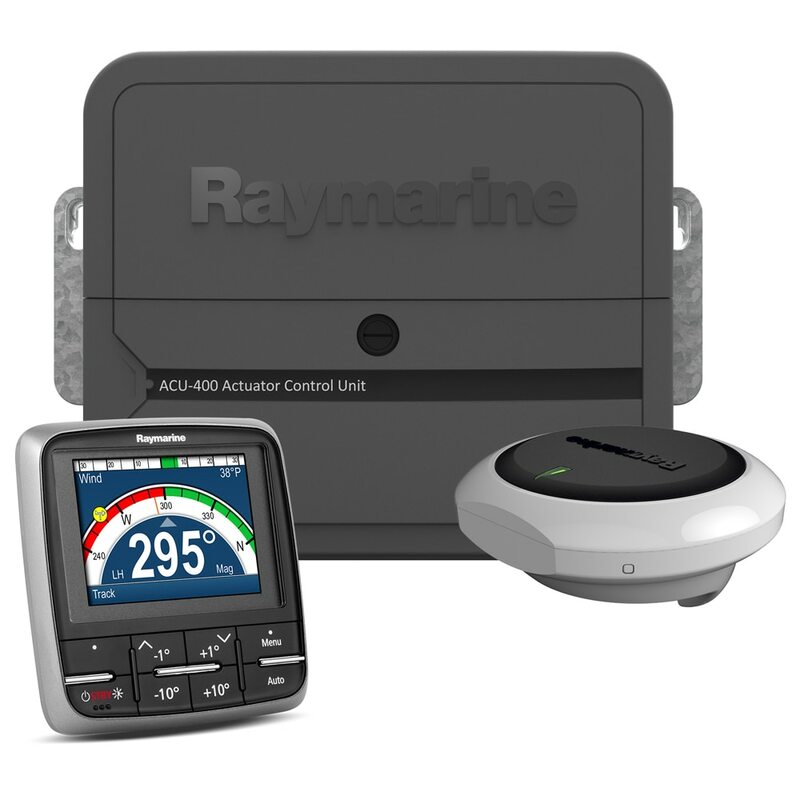 Please check out Raymarine's new line of Evolution autopilots. 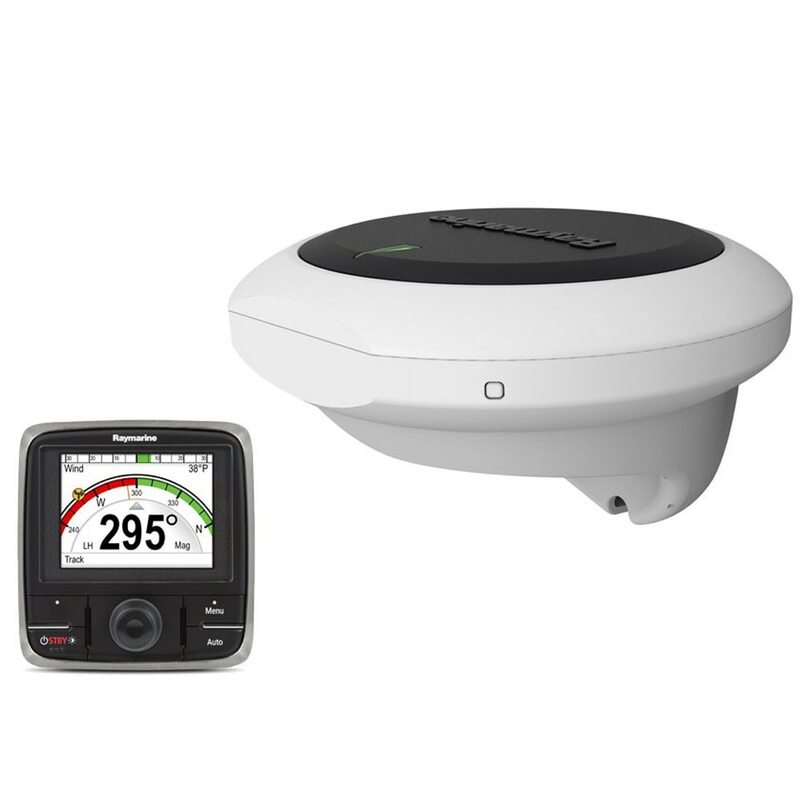 SIMRAD TP22 Tiller Autopilot for Boats up to 36 ft.
Raymarine - Raymarine offers their Evolution line of marine autopilots. 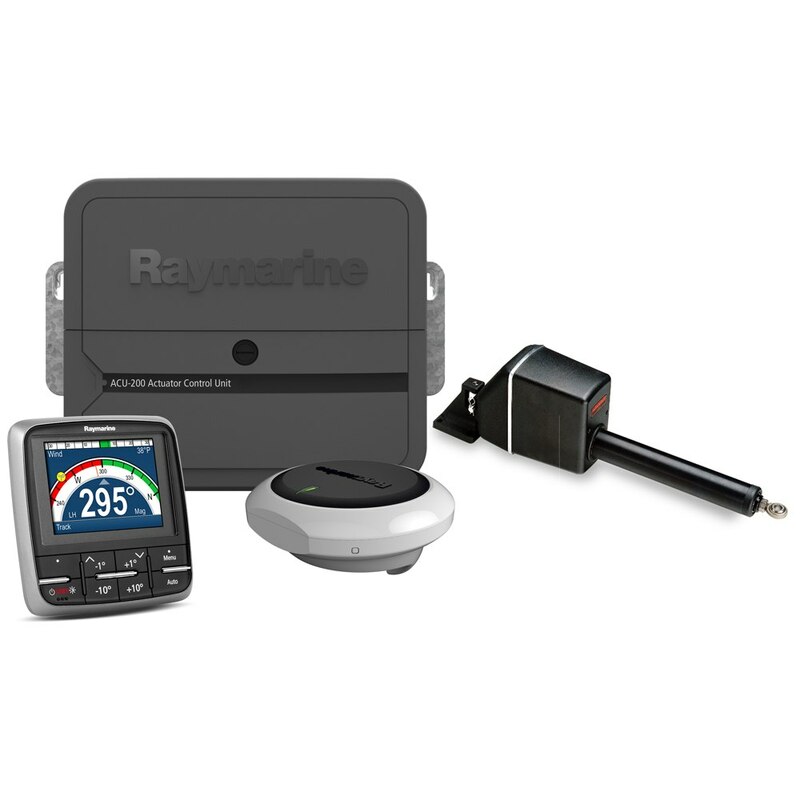 The Raymarine EV-100 are for smaller boats and come in tiller, power, and wheelpilot versions. 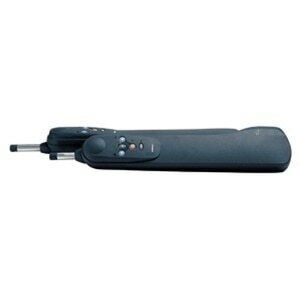 Then there is the EV-150. 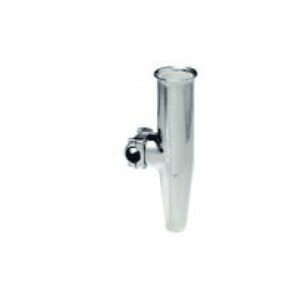 The next level up is the EV-200 that comes in four version from sail, linear sail, hydraulic, and linear hydraulic. 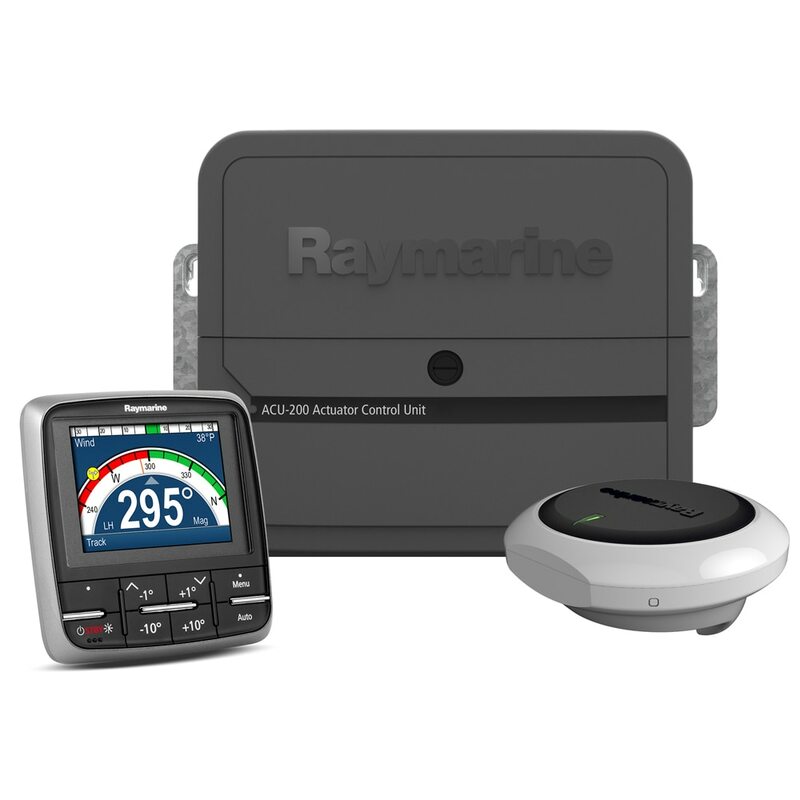 The EV-300 is the next version of marine autopilot and only comes in one configuration. 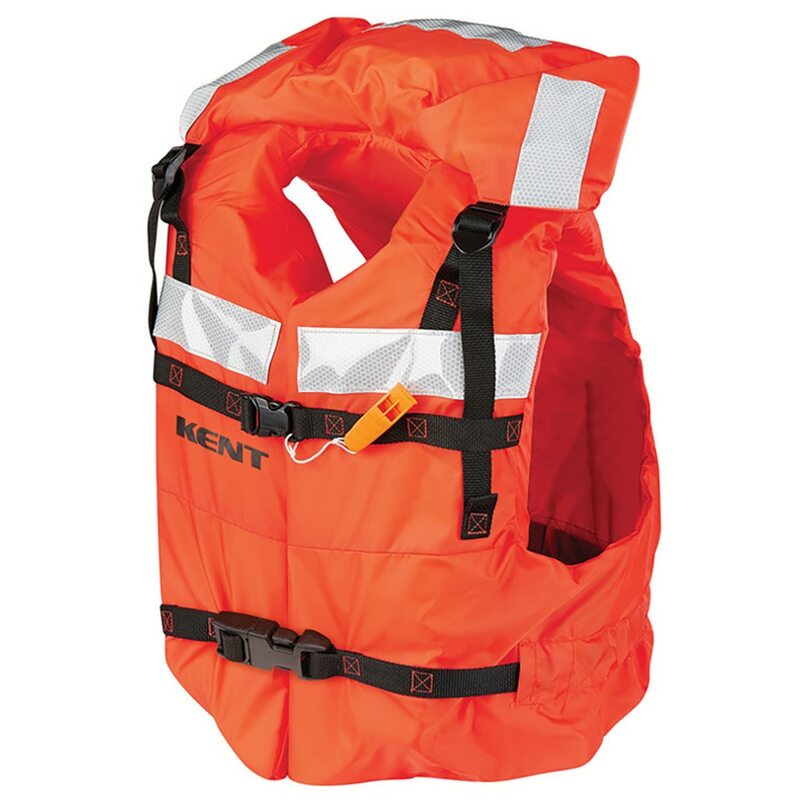 The top of the line is the EV-400 which comes in sail and power versions. 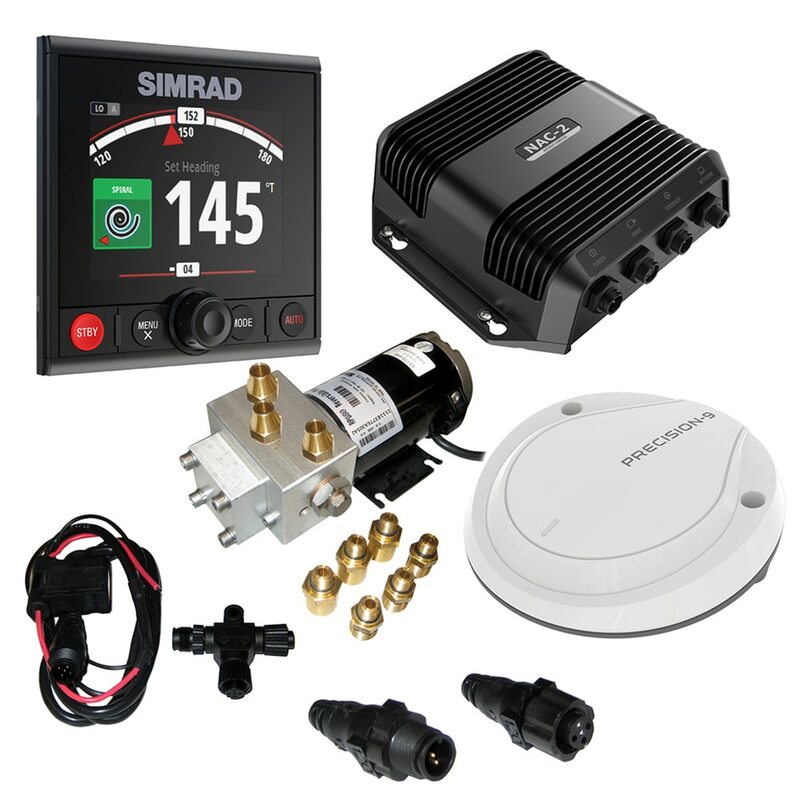 Simrad - Simard offers a great selection of marine autopilots in different configurations. 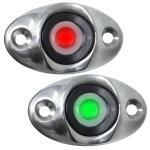 Furuno - The Furuno NavPilot is a popular marine autopilot for the serious boater. 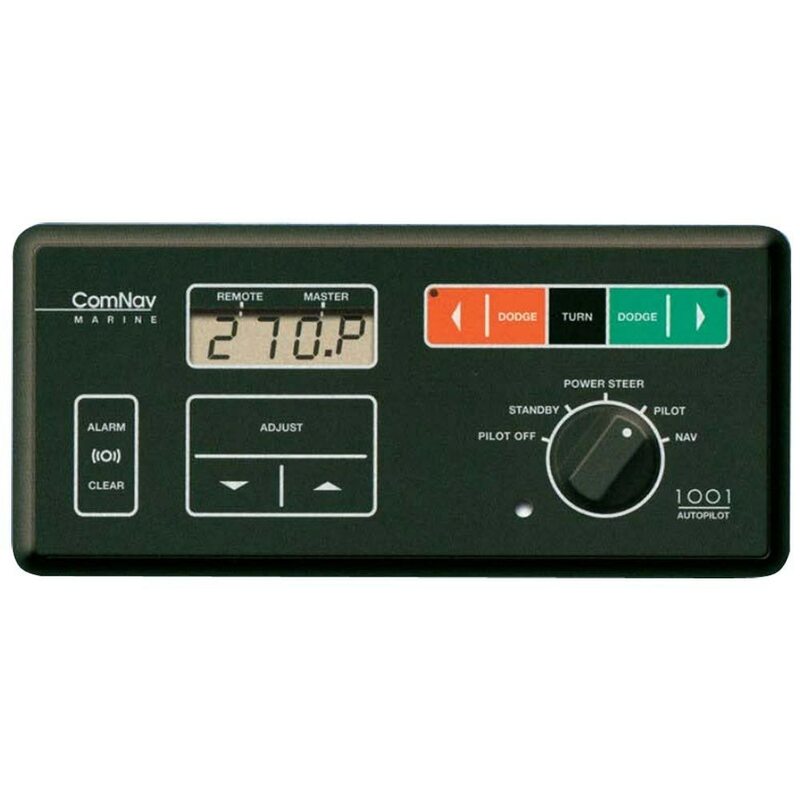 Purchase a high-quality marine autopilot system today.